Make a statement in this occasion worthy bodycon dress. 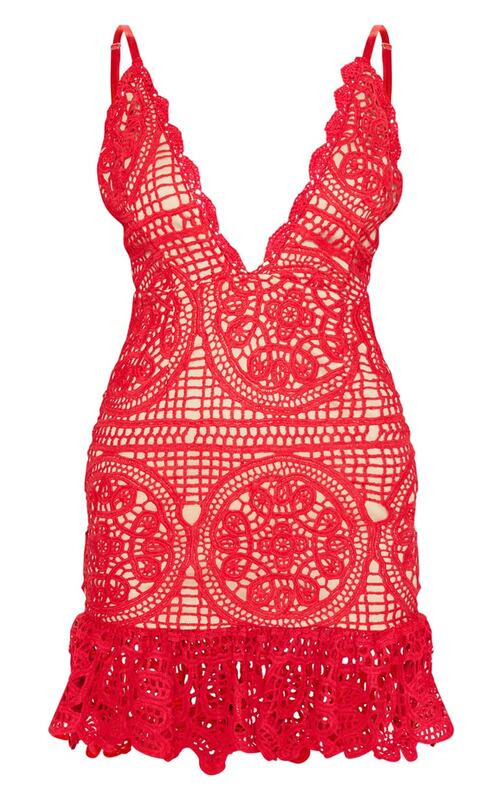 Featuring a red thick lace material with adjustable straps and a zip fastening. Style this dress with strappy heels and a red clutch for a look we are loving.